Based on 1 sachet (260g) for 1 litre milk and 1 litre cream (24 portions) Instructions: 1) Bring 1 litre of milk (whole or semi-skimmed) to the boil. 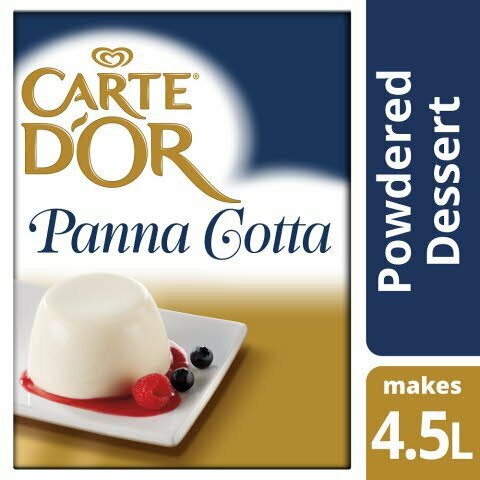 2) Add the panna cotta mix to the boiling milk. Whisk for approximately 30 seconds until the product is fully dissolved. 3) Remove from heat and add 1 litre of cream (double or whipping). Stir for a few seconds. 4) Pour into individual ramekins and refrigerate for at least 3 hours before serving.